Wistful sandy shoreline and sapphire waters, it could only be Silver Bay Beach. 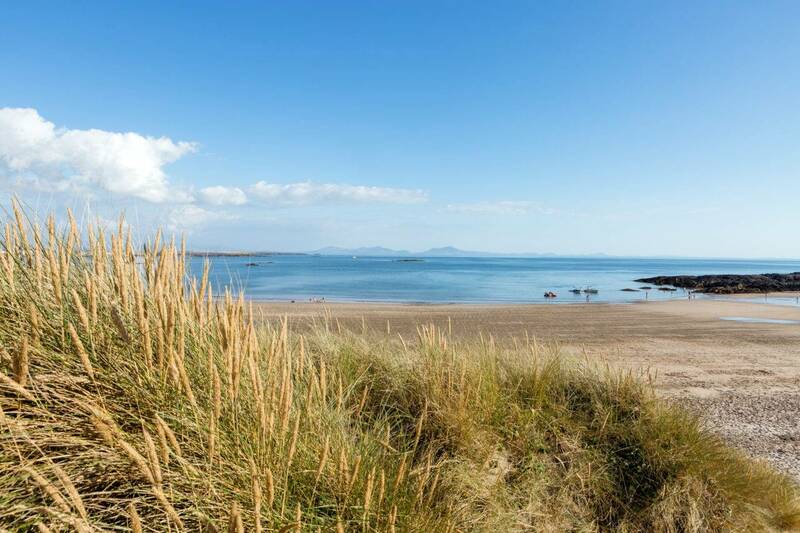 Located on the Isle of Anglesey in North Wales, this coastal haven is a sanctuary for families seeking a taste of sea air on UK shores. Keep reading to find out why Silver Bay is one of the best beaches in the UK. Just a short five-minute walk from our award-winning holiday park, Silver Bay Beach is the perfect place to take a romantic walk or have a day of adventure riding the waves in your boat. There really is something for everyone to do. The beach is also close by to RAF Valley, providing the perfect opportunity for plane enthusiasts to witness the Red Arrows in action. Every year a range of events are held on the beach. From the annual fishing competition to the Beach Mudder race, Silver Bay beach is full of life yet spacious enough to feel secluded as you relax. As well as this, the beach also has a rich history including the mysterious message in a bottle that washed up all the way from Xiamen in China. Who knows what you’ll discover on a visit to our sandy hideaway? Our beach is also home to plentiful wildlife. It’s not uncommon to spot a range of aquatic animals swimming in the waters including dolphins, and smaller animals such as frogs. The sky is also awash with beautiful animals including butterflies, dragonflies, and damselflies – so there’s always something alluring to witness. Our coast is also one of the greenest in the country, and we do our best to make sure it’s kept clean and is also well-tended to. In fact, we’ve been doing so well that we’ve been awarded a Green Coast Award! This prestigious body recognises the best, and greenest, costs around the UK, and we’re honoured to call our tropical heaven a part of it.=As well as admiring our stunning nature, there’s also plenty of natural activities you can be a part of on Silver Bay Beach. There’s little more satisfying than an afternoon spent rock pooling or beach combing, discovering shells, beautiful stones and much more. We also host an array of children’s club activities that include snorkelling, coasteering, and beach safety, as well as Wild Survivors Club where children can learn everything they need to know about rustic life outdoors.=It’s not only humans who are welcome on our beach, so too are man’s best friend! Dogs love Silver Bay Beach just as much as any human, and both man and dog can spend hours wandering this luxury coast with the sand between their toes. And it’s not hard to find inspiration on our beach, especially if you’re a creative. Whatever your medium, you’ll be sure to find inspiration on our shores. Alice White is just one artist who has already had her creative soul captivated by the sights of our coast. Over the summer we host a range of beach activities. Alongside our Beach Mudder race, lodge owners will also get access to our annual Sandcastle building competition as well as the chance to purchase tasty snacks from our very own Tiki Shack. A day at Silver Bay Beach is all about bonding and coming together with both family and friends to create a community. Be it spring, summer, autumn or winter, there’s always someone on our beach to chat with, new friends to make. And it makes for a very special place to live out some of the best days of your family life. Silver Bay Beach isn’t just all about the sand and water, there is also woodland nearby, filled with luscious green trees and places to explore. In fact, a visit to the beach at Silver Bay isn’t complete without a ramble through the woodlands, so don’t miss out. As well as being the proud owners of a Green Coast Award, we were also presented with a David Bellamy Conservation Award in late 2016. This award is presented to holiday villages in the UK that have taken great care to create a sustainable environment and enhance and protect nature in Britain. We’ve planted trees, created a wildflower meadow and much more. You can read all about it here. Watersports are also a strong part of Silver Bay Beach life. From canoeing and kayaking to speed boats, everyone is welcome on our waters as long as they practice care and consideration for others. We also have a handy boat park close so that lodge owners can store their vessels with ease. Furthermore, exploring our beach is only the beginning of the Silver Bay beach experience. 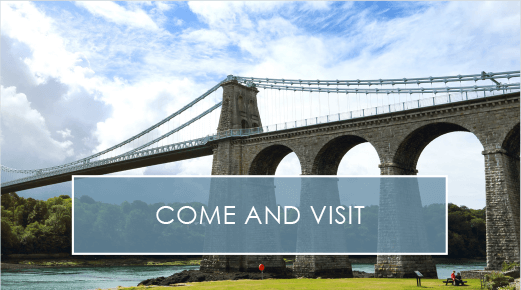 There are plenty of wonderful walks to be had around Anglesey that are close by. The Silver Bay woodland lead walkers across to Trearddur Bay, another beautiful part of Anglesey all visitors should have the chance to witness. Staying safe on the beach is all about looking out for one another and knowing your limits. The ocean can be a dangerous place and should be respected. This means not swimming out of your depth, swimming alone, or going too far out. As well as this, people should take extra care to not leave things lying about on the beach. These can become hazards if someone were to trip over them, and that’s without mentioning that our furry, four-legged friends that could also potentially swallow something harmful! 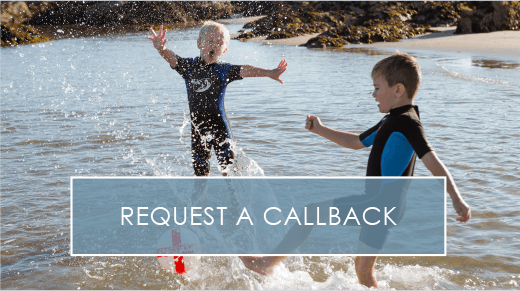 If you’d like to relax on Silver Bay beach with your loved ones, then perhaps it’s time you considering lodge ownership at Silver Bay holiday village. As well as lodges, we also have a selection of stunning caravans available for purchase. So if you want a special place to escape where you don’t need to leave the country to reach paradise, call today on 01407 860 860. Silver Bay beach is a private, exclusive haven to lodge owners of Silver Bay Holiday Village. 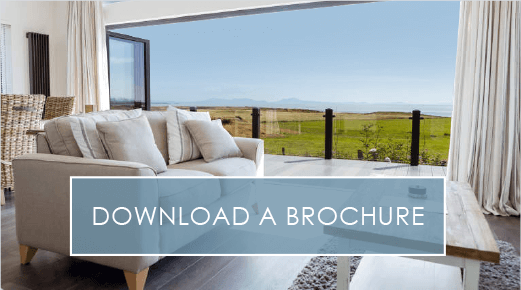 To learn more about lodge ownership, please fill in our request a brochure form here. previousGlitz, Glamour, And Razzmatazz - The Silver Bay New Year's Eve Party Had It All!